DANIELS & HANNAN Attorneys at Law provide experienced legal services in Criminal Defense, Family Law, Divorce Law, DUI Defense, Personal Injury, and Business Law. Providing full service legal representation throughout Southwest Florida. At Daniels & Hannan in Lakewood Ranch, Florida, we know that any legal case could compromise your future. We protect our clients' rights through criminal law, family law, business law and personal injury cases. Whether in settlement discussions or in the courtroom, the attorneys at our law firm are committed to reaching a solution that exceeds our clients' expectations. Our law firm is home to a team that brings invaluable experience to our practice. In fact, one of our lawyers is a former police officer and has been certified in field sobriety testing, death investigation and radar technology. This gives us unique insight into the very circumstances that many of our clients face. It also enables us to predict how the prosecution may build a case against our clients who are facing criminal charges such as drug offenses or DUI. In any matter we handle, from motor vehicle accidents to divorce and child custody, we believe in being proactive instead of reactive. It can be easy to simply respond to a situation, but we seek to create strategies that solve current issues and reduce the risk of challenges down the road. We do this through collaborating with our clients as we build a plan for their case. The team at our law firm holds several honors, such as being listed in The National Trial Lawyers: Top 100 and being selected for inclusion in Florida Super Lawyers. More importantly, we have the honor of representing our clients through some of their most difficult moments. Daniels & Hannan offers free initial consultations. At DANIELS & HANNAN, we are able to handle any DUI or drinking related traffic violation you have and we offer you the personal attention you deserve. Our office staff and Attorneys are able to walk you the best options for defending your rights. 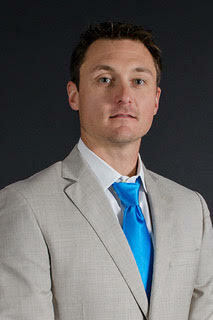 Brandon Daniels is a top rated lawyer as voted on by his peers and the judiciary. Evidencing his dedication to fighting for client rights, he has been named a Super Lawyer Rising Star each year from 2012 through 2018. This recognition is a testament to the efforts he puts forth in fighting for his clients. Mr. Daniels practices primarily in the areas of Federal and State criminal defense with a specialty in DUI defense litigation. In addition, he practices family law litigation which includes complex dissolution matters for high net worth clients, alimony claims, equitable distribution claims, domestic violence injunction prosecution and defense, child custody related matters such as timesharing and child support. Mr. Daniels also assists family law clients with post judgment matters for clients desiring to modify existing orders of the court. Due to Mr. Daniels heavy emphasis on court room litigation he has assisted many local lawyers by taking over the trial portions of their cases when they have become complex and overburdensome for the practitioner. As a member of the community he believes in giving back so he donates well over 60 hours of legal work each year to help family law client's that are less fortunate, domestic violence victims or have been taken advantage of because they cannot afford to litigate and need an advocate to fight for them and their children. Brandon began his career as a law enforcement officer for many years prior to becoming a lawyer in Florida. He was promoted from and Officer to Detective and conducted hundreds of investigations to include Death Investigation, Drug Trafficking, Auto Theft, Robbery, Crimes against Persons, Domestic Violence Battery and Child Neglect cases. While working as a Detective, Brandon attended the prestigious Faulkner University, Thomas Goode School of Law and graduated in 2006. Since graduation, he and his team have focused their multi-faceted practice on Criminal Defense, DUI Defense, Personal Injury Litigation, Family Law, and Business Law matters. At Stetson University College of Law, Bryan concentrated on trial advocacy. This included an internship with the Sixth Judicial Circuit Public Defenders Office. Upon graduation in 2003, Bryan accepted a position as an Assistant Public Defender for the Sixth Judicial Circuit. During the next two years, Bryan focused on criminal defense of the law. This included time representing misdemeanors, juveniles, and serious felony offenses. Bryan gained significant trial experience during his time at the Public Defender Office, this included over twelve trials his first year. In 2005, Bryan helped form the Law Offices of Hannan & Plotnick, P.A. The Firm focused on criminal defense of those accused in Hillsborough, Pinellas, Polk, Pasco, Sarasota and Manatee Counties. This included the Defense of State vs. Dieterle, a first degree murder case. This case received national news and was featured on such shows as The OReilly Factor and Nancy Grace. Bryan practiced personal injury law including such claims as motorcycle accidents, car/auto accidents, brain injury cases, and slip and fall claims. Bryan was successful in negotiating claims against insurance companies. While practicing personal injury, Bryan never represented Insurance Companies. Bryan focused on representation of the people and arguing to gain justice for the injured and hurt. In October, 2012, Bryan moved to the Manatee/Sarasota area. This included joining the firm of DANIELS & HANNAN, where Bryan currently represents those injured in motorcycle, car/auto accidents, brain injuries, and slip and fall accidents. Jason Pollack (of Counsel) DANIELS & HANNAN Attorneys at Law is a criminal defense attorney who has represented hundreds of clients in Municipal and Superior Courts throughout the State of New Jersey. He earned his B.S., in Restaurant Management from Penn State University in 1999 and went on to earn his J.D. from the Widener School of Law in 2002. While in law school, he worked at the Brooklyn District Attorney Office and the Delaware County District Attorney office. Upon his graduation from Law School, he founded the Law Offices of Jason C. Pollack, P.C. in 2002 and has ascended to become one of New Jersey's preeminent criminal defense lawyers. Mr. Pollack is an associated lawyer with Daniels & Hannan, thus expanding Daniels & Hannan's ability to service clients in multiple states. He is a member of the National College for DUI Defense, a think-tank for DUI/DWI Defense attorneys to develop better DUI/DWI defense tactics. Since becoming a member in 2005, he has attended the NCDD intense Summer Session in DUI Defense Law at Harvard Law School. He has been recognized for his work in the field of DUI/DWI by several organizations including AVVO, Manta, and has even appeared on CBS Philadelphia TV. Kevin L. Hindson received his Juris Doctor in Law from the Stetson University College of Law, located in Gulfport Florida. Founded in 1900, Stetson Law was the first law school founded in the state of Florida and is ranked number 1 in trial advocacy and number 3 in legal writing education by U.S. News & World Report. Kevin had previously been a technology entrepreneur and went into the motorsports industry after selling his company to International Speedway Corporation (ISC), the parent company of the Daytona International Speedway. After years of working on Consumer Marketing and Sponsorship agreements for the various ISC Speedways, Kevin took an executive role with the Rolex Sports Car Series, a company of NASCAR. In 2017, Kevin joined DANIELS & HANNAN Attorneys at Law and has had the privilege of helping the citizens of Sarasota, Manatee, Charlotte, Polk, Pinellas, and Hillsborough Counties ever since. Together the firms' focus is to fight for the individual rights of the wrongly accused and those charged with DUI. As a symbol of protection against bad DUI arrests, DANIELS & HANNAN, utilize the DUI DOGG logo depicting their never-ending fight to protect their clients' constitutional rights.